29 August 2018: Greater awareness of their own bodies could help endurance athletes avoid or minimise chronic injuries caused by arduous training, according to researchers at the University of Canberra. 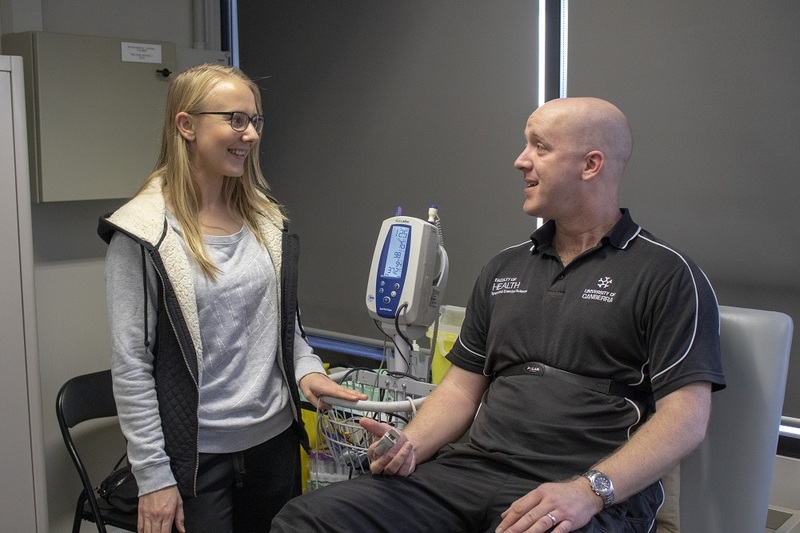 Olympic race walker turned researcher Rachel Tallent has teamed up with Associate Professor in Sport and Exercise Psychology Richard Keegan to identify future strategies for injury management. The researchers are tracing whether athletes with greater interoception have experienced less lost or modified training time due to injury in the last two years. Interoception is the process of sensing internal bodily signals such as balance, soreness, tension and fatigue. “It’s something that can be taught and it’s important to learn to use it in decision-making,” Ms Tallent said. Dr Keegan said in a sporting context, it could be important for preventing injuries in athletes caused by overtraining or overuse. “Sometimes athletes just push through the pain when they shouldn’t, ultimately making things worse,” Dr Keegan said. A world-class race walker, Ms Tallent competed at the 2015 World Athletics Championships in Beijing and the 2016 Olympics in Rio de Janeiro. She battled a stress fracture in her left femur during the 20km Olympic walk. The research project also aims to identify factors which moderate the relationship between interoception and time lost due to injury. People over the age of 18 who walk or run more than 40 kilometres per week in training can participate in the study. Participants simply need to complete a questionnaire on their history of injury, and another on their experience of internal sensing. People who live in Canberra can also take part in a lab-based heartbeat tracking test, which will run till 14 September. Ms Tallent is offering each participant who completes the heartbeat tracking test a $50 voucher for the SMART Centre sports massage and rehabilitation therapy clinic in Barton. Email Dr Keegan (Richard.Keegan@canberra.edu.au) for more information.